Yesterday, for example, one of the sales representatives I talk to in New York initiated a three-way call to her friend and I (at work) so that I could chat with the friend whose Swedish husband is stuck in some sort of visa purgatory in Europe. That was a first! The fact that I have not tired of these stories, and truly enjoy directing people in any small way I can, helps me realize this is a subject that is with me for the long haul. So they went, and along the way, his mom forced him to go through a border checkpoint using the birth certificate of his U.S. citizen cousin. Carlos was caught and “thrown back” at the border, only to have his mom arrange for another family member to assist him in crossing with his brother’s valid border crossing card a while later. He remained in the U.S. until 2007. Very few people know this, but on the short list of things you can never overcome in U.S. immigration, falsely claiming U.S. citizenship among the worst offenses. When the couple showed up on immigrate2us.net, however, a number of us wondered whether the fact that he was a minor and not the one responsible for the decision, might give them a chance at a waiver for the misrepresentation and unlawful presence. What they need is a reasonable consular officer to determine Carlos is eligible for the I-601 waiver of inadmissibility for his subsequent unlawful presence in the U.S. If he is found eligible for the waiver, the rest is near gravy. They shouldn’t have trouble proving the extreme hardship necessary to grant the waiver, which will lead to his permanent residence in the U.S. Amy has done a ton of legal research to go along with their case. She wrote a memo to the consulate that I think would make a lawyer proud, detailing how Carlos’ mother forced him to misrepresent himself and addressing the other legal issues in the case. Amy has been teaching in Chicago for the past few months while preparing for Carlos’ interview. Carlos has continued to teach English back in Monterrey. The couple is expecting their first child in a few months. Friday will basically determine their future. Will they be allowed a chance to overcome Carlos’ past, or denied outright, with no chance to ever return to the U.S. as a family? If they are denied, this couple will fight, but it’s extremely difficult to fight consular decisions. I’ll be more nervous for my friends Friday than I could ever be about law school. Law school is important, yeah. But the lives of U.S. citizens forced to fight against their exile from the U.S. – that is important. Well, my day finally arrived in Contracts. 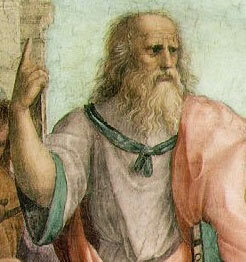 I admit I am pretty lucky to only have one intimidating fall 1L class that makes use of the Socratic method. My torts professors’ questions are so leading that there is no pressure to spew much brilliance besides a few case facts and a perfectly timed, “Yes,” or “No.” I have a non-traditional civil procedure class with almost no case law and few lectures. My criminal law class is like a long, strange trip through the mind of an amusing but forgetful tenured professor. He rambles, the same 20 or so students raise their hand and talk, he never calls from the seating chart, repeat, repeat, repeat. Contracts is another story entirely. The professor is a “minor legend” according to law school lore. His demeanor displays his brilliance without a trace of arrogance though. But he asks hard questions during class, and sticks to a fairly strict Socratic method. He introduces a case, then picks a student to question for 5-15 minutes, depending on the case. Today we were talking about a local case that happened to take place in my hometown, so I raised my hand when he asked if anyone knew anything substantial about the setting of the case. He moved onto another case a few minutes later and then called on me for the real deal. And actually, it was fine. It’s a good thing I spent quality time with the case over the weekend and didn’t have to search my notes to answer most of the questions. I felt somewhat nervous that I would get lost in his lines of reasoning, but it didn’t happen. Now I’ll feel much less nervous in Contracts for a while. Yesterday in contracts, my professor contrasted the deductive reasoning typical in legal study with the inductive reasoning of the scientific method. Lawyers study statutes created by legislatures. They also study important cases, which make precedents which sort of trickle down and make up the common law. Scientists do experiments. After they have a lot of experimental results, they analyze and form theories. Social scientists conduct surveys, then consolidate the opinions or experiences of a great number of people in order to draw conclusions. As he was talking, a small light bulb went on in my crowded brain. I realized this inductive approach fit the way I have learned immigration laws for the past two years. Basically, thousands of people, including myself, gather on the immigrate2us.net forum seeking a way to reunite their families in the midst of harsh and often unforgiving immigration laws. Over time, someone like me, who reads most of the postings, draws conclusions from the experiences of all these people. I draw conclusions about the process itself, potential pitfalls, and what sort of things, for example, most effectively prove hardship for a waiver. This is how myself, and many other experienced non-lawyers there, feel comfortable sharing our opinions in the forum. When one of us errs, someone else will catch it. The collective experiences, and our rudimentary knowledge of narrow sections of immigration law, makes us pretty useful for lots of people who simply cannot afford to hire an attorney. We also have the benefit of a few attorneys who volunteer their time for free chats and occasionally answer questions, but the vast, vast majority of the postings come from non-lawyers. It wasn’t until relatively recently that I started actually studying the Immigration and Nationality Act. Unfortunately, it’s just so much less engaging than the real stories of families. Since becoming an official law student last month, I’ve joined a listserv called the National Immigration Project. Every day I receive dozens of e-mails correspondences between attorneys looking for assistance with matters of immigration law. PC (potential client) is substituted for real names and only the cold, hard, relevant facts make it to the e-mail. This summer, at the American Immigration Lawyers Association conference, I felt and inkling of the transition that was ahead of me. This is what lawyers do. I’m learning that every day. It’s about analyzing where a person’s actions or situation may or should fit into the law. It’s about arguing one side of that, regardless of what you think about it on a moral or human level. This is the struggle for me, as I adapt to discussing legal matters in class, and also as I daydream from time to time about applying all this to immigration work. So as much as I have become endeared to the stories of families and the experiential view of these issues, I have to adjust. I have to become a lawyer without losing my soul. Well, I got a lot of reading done last night since my macbook didn’t have any power. My roommate informed me that the library system here actually loans out laptops, so I went and got a macbook this morning to use it for its power cord. Now, I haz the power. Yesterday evening after class I could not, for the life of me, unlock my bike from next to the law school. I don’t know what the deal was — a special moment of incompetence on my part, a defective moment on the part of my U-lock, or the result of a piece of debris falling into my upturned keyhole during class. Then my roommate talked to her fiancee and he directed us to the basement where he had some sort of graphite lubricant made for keeping “all locks working freely.” I’ll try this later. My only other complaint from yesterday was the annoying girl in my class. I plan to avoid talking to her today, as usual. Should be good. 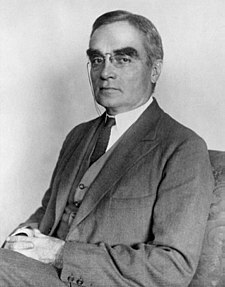 There is a very prominent judge from the late 19th/1st half of the 20th century named Learned Hand. He wrote a lot of the opinions that lawyers find precedent from and law students study. Just take a moment to ponder that name – Learned Hand. It’s so great. That’s all. White macbooks (like my own) are not unique or special anywhere in my college town, especially not in the law school. They are everywhere. In class you can watch any number of people in front of you enjoying the ease and pleasure of the Leopard OS. I miss my daily dose of NPR news. It’s a treat to listen in the car driving home on Friday afternoons and back on Monday mornings. Otherwise I feel really isolated from news, which is something I didn’t experience working at the job I had before school started, considering I had half the day to amuse myself on the netz. Teh freshman, they looks like babies! Sometimes I find the crazy apartment cat referenced a few weeks ago hanging out in the sink or the bathtub. Or chasing its tail with gusto and growling. My criminal law class is horrible. It’s horrible beyond horrible actually. My only glimmer of hope is that a friend had this professor last year and told me about the exam. The exam doesn’t sound so horrible, but I will be really, really glad when I never have to take another criminal law class. Monday I had lunch with the Dean of the law school and a small group of students. I asked about immigration law and he did not offer a very satisfying answer. Essentially: we’ll have a course next year. He seemed much more interested in discussing how our school will catapult itself into the top 25 in the U.S. News ratings in the next few years. I’ve become a night owl again, but I sometimes get up early and study as well. It sort of depends on the day and how much work has to be done when. I’ve given up trying to have a really normal schedule. That’s never really worked for me anyway. There are unpleasant days, but overall I really like law school. Plaintiff contended that, because the banana peel was blackened, the defendant must have had notice of a dangerous conditions on the premises, and was therefore liable for the slip and fall. The plaintiff, while shopping in defendant’s store, fell backward, did not come into contact with the shelves, but hit her head directly on the floor where “a lot of broken jars” of baby food lay. This was just a short break in an otherwise full day. I need to put together claims for a complaint assignment in civil procedure, read five torts cases (less edible, more medical malpractice this time around), catch up on the horrible crim reading, and spend some time trying to understand very complex contracts case. I feel a tad stressed right now. You are currently browsing the one step closer blog archives for September, 2008.